what was supposed to happen today? and who claimed it? There are few of ATS finest in this thread. You've raised a crucial question here. Let me ask you this: why do you think that in spite of Mueller's report claiming no collusion, there's still a good chunk of the American public that refuse to believe it? Along with all of the other lies about Trump? B. I don't know who believes or not and why. And nether do you. So you will have to ask them. A congressional source confirmed to the Washington Examinerthat the Judiciary and Oversight Committees met privately with FBI official Jonathan Moffa at the end of the week — the latest in a line of interviews conducted by the joint task force looking into the FBI’s controversial handling of the inquiry into the former secretary of state’s unauthorized server. 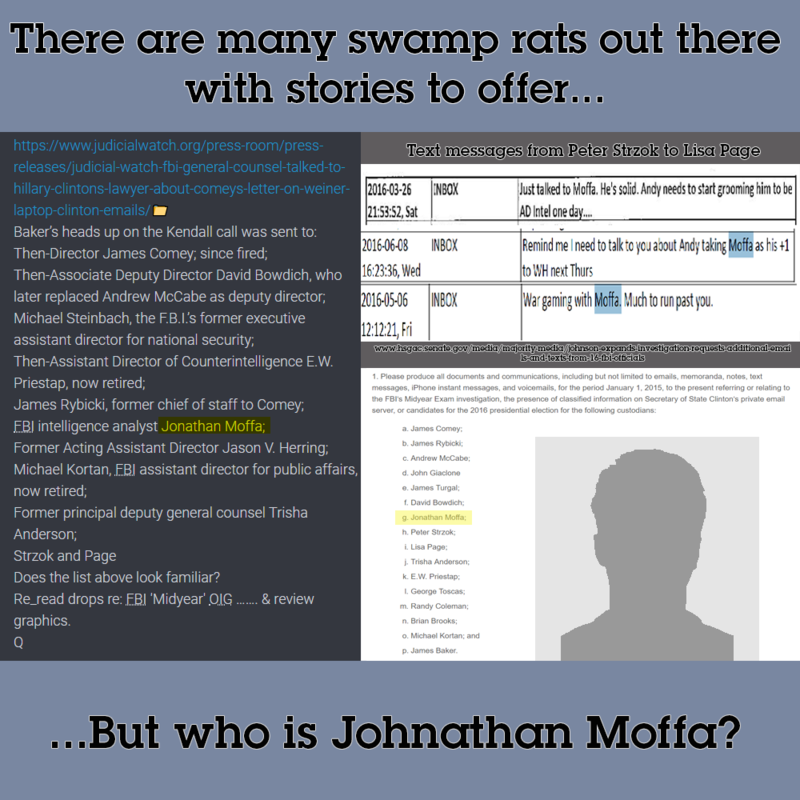 I just did the Internet searchy thing for Jonathan Moffa. Looked for images of him...... Rybicki, Strzok, Page, Comey, Brennan, Priestap, Obama and Hillary photos come up (in a search for Moffa!)...... but not a pic of Moffa. Plenty of references to him, hell, he testified in front of Congress that the FBI used media leaks to frame innocent people just before he quit the FBI, but no picture.